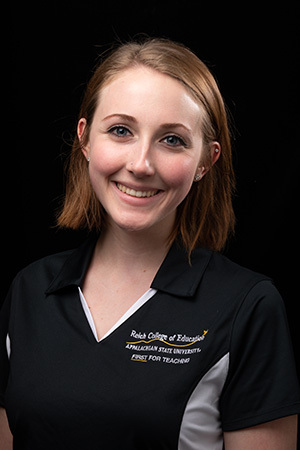 The Education Peer Ambassador Program is a unique leadership opportunity for students of undergraduate teacher education programs at Appalachian State University. 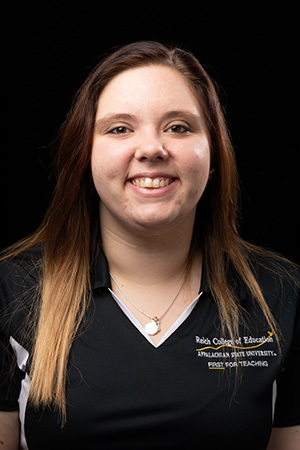 In their role, they support fellow students by working at the front desk in the James Center for Student Success and Advising as well as serve as hosts to prospective students and guests of the Reich College of Education. They assist at all of our recruitment events and provide building tours to prospective students, donors, and faculty candidates. This spring there are nine new additions to the Education Peer Ambassador Program. Each ambassador brings their own perspective as a student to the program. The James Center looks for a variety of education majors to provide a well-rounded group of ambassadors. 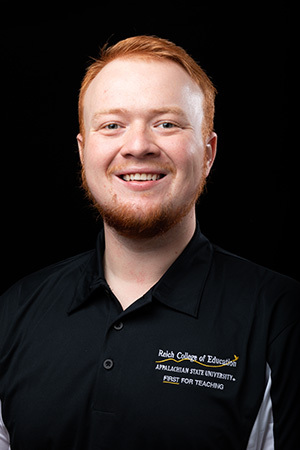 Meet all eight of the ambassadors and learn why they chose to come to Appalachian, what or who inspired them to become an educator, and why they wanted to be an ambassador for the Reich College of Education. Questions? Please contact Megan Kasper for more information. JP is a history secondary education major from Durham, North Carolina. What or who made you want to become a teacher? A few teachers I had in the past inspired me and I want to improve the public school system. I’ve always loved the mountains and it’s a great school for teachers! Why did you want to become an Education Peer Ambassador? I wanted to be more connected to my university. What tips or advice do you have for incoming freshmen about majoring in education? Take the time to get to know your professors. Dana is an elementary education major from Hamptonville, North Carolina. My mother was a teacher for 36 years and loved it. She is my inspiration to be a teacher. I chose Appalachian because there is no better place to become a teacher on God's green Earth than right here! To serve those who are dedicating their lives to serve others. Make sure that you have time for yourself, and not to be so bogged down with stress and assignments. Breathe, relax, and enjoy your time here! Hannah is a history secondary education major from Stanley, North Carolina. My 8th grade Social Studies teacher inspired me to decide to become a History teacher, however, since I was little I have always wanted to be a teacher. I chose Appalachian because it felt like home to me. I was welcomed into the History, Social Studies Education program immediately and I felt like this was where I would become the best teacher for my future students. 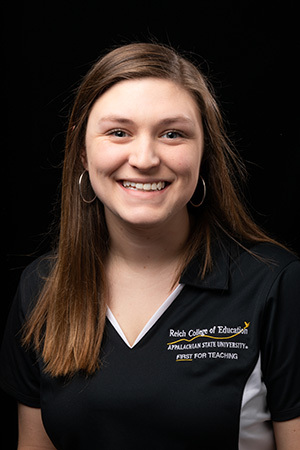 I wanted to be an Education Ambassador because I wanted to be a friendly face to both prospective and current students and allow them to see all the amazing things that App has to offer Education majors! Get involved with Appalachian Educators and with other RCOE events. This not only will allow you to make networks and friends with other future educators, but to have fun with people who want to make a difference in students lives! Amanda is an adaptive special education major from Holly Springs, North Carolina. My mom and my sister inspired me to become a teacher because of their dedication and passion for the students. After working at the Autism Society of NC, I realized that working with children with disabilities is something I want to do for the rest of my life. I love seeing the small victories each child experiences and being able to support them in everything they encounter. I would like to influence teachers to be inclusive of all students and become understanding of learning differences. I have always felt dedicated to special education and promoting the lives of all students. I chose Appalachian State University because of the opportunities the school provides and the inclusivity. When touring Appalachian State’s campus, I was automatically amazed by how much was going on and the overall positivity. I was already feeling welcomed by everyone around me because of the people and events taking place. I realized that there was so much to get involved with, which is extremely important to me. After researching more about Appalachian State, I found out there are so many ways to get your voice heard. Appalachian State wants all students to feel included and able to have a say on their college experience. I wanted to become an Education Ambassador to become more involved with the Reich College of Education. When I heard about this experience, I was excited to see what I will be able to accomplish through this involvement. I knew becoming an Education Ambassador would help me grow as a leader, teacher, and person. I wanted to educate new or returning students about the college of education and everything we have to offer. Majoring in education at Appalachian State was one of my greatest choices! I have gained amazing resources from the college of education and I feel that I am growing every day in class. My tip to incoming freshman about majoring in education is to take advantage of your resources! There are so many different supports that are provided to you as an education major. Almost all professors are willing to work with you and be your never-ending cheerleader to help you accomplish your goals. Not only does the college of education provide resources for free that can aid in your teaching degree, the Appalachian State Library has tons of teaching books for rent and other exciting supplies that can help prepare you for your classroom! Austin is an instrumental music education major. He is from Mocksville, North Carolina. My High School Band Director inspired me to become a teacher. The amazing music school and the tuba professor, Dr. Wiese. Even if the world says that's a bad idea, let your passion tell you what is right for you. 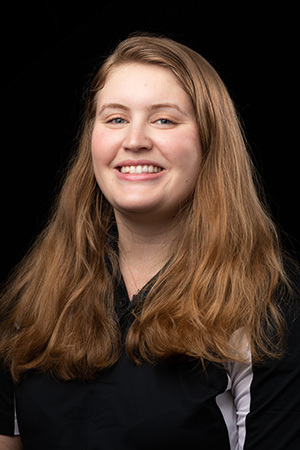 Kara is a history secondary education major from Jamestown, North Carolina. It was a mix of the brilliant teachers who molded me into a better person and my love for history. I chose Appalachian State not only for the excellent education and history programs of study but also for the small town feel and the breath-taking views! 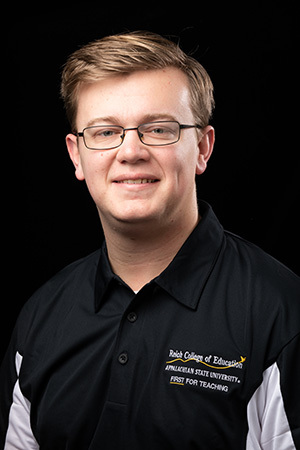 I wanted to be more involved in the Reich College of Education, and act as a connector between the College of Arts and Sciences and the College of Education. The most you will learn in education will come from experience. 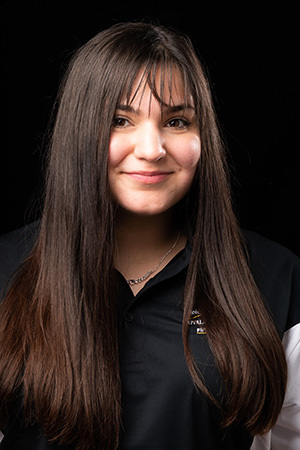 Michala is an adaptive special education major. She is from Concord, North Carolina. My past experience with a cousin with Cerebral Palsy who was thrown away by all of her other teachers. She deserves a chance and so does each of the other students I will come across. I plan to be that change and provide those opportunities in the upcoming generation. I chose Appalachian because it felt like my home away from home. I was less than three hours from my hometown, and Boone was a regular vacation spot for my family. The comforting environment and beautiful mountain scenery created what I saw as the best possible college location, even if it does get incredibly cold here. 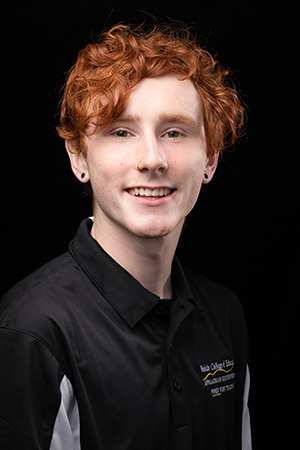 I wanted to become an Education Ambassador to be a part of representing the face of a program in which became such a significant step in my college career, finding out who I really was, what I wanted to do with my life, and how to move forward. The James Center never fails to have friendly faces and a welcoming environment, further portraying the wonderful community and family Appalachian State University provides. Get involved with Appalachian Educators, the James Center, and any other educational clubs or areas where you can meet people. Meeting others in the education field is wonderful, as you can create great friendships as well as get to know people you will more than likely have classes alongside! Creating that support system and network of individuals is a great step forward in your major, as well as a step forward into your overall enjoyment of your college experience. Classes can get hard. Friends help. 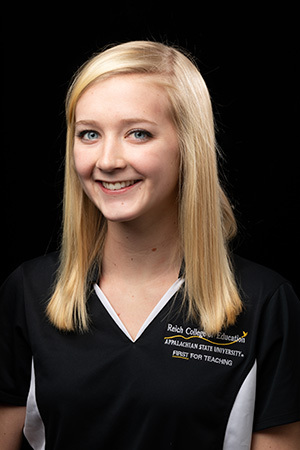 Sydney is an adaptive special education major from Lake Zurich, IL. My Grammy was a special education teacher and has always been a great inspiration to me. In addition, I have always loved working with kids and found my passion for working with people who have special needs. As soon as I visited I fell in love with the fantastic community and environment of Boone. Although I am thirteen hours from home, it feels as though I am already there. I could not imagine attending a more welcoming, vibrant, kind university, a university which I am so glad to now call home. I have experienced so much joy being a part of ACES, Appalachian educators, and through the amazing people that work in the highly esteemed RCOE. If I could share an ounce of the joy I have experienced with potential mountaineers, I would be so glad. Utilize the James Center! Not only are there numerous resources such as printing and advising, but you can always find an extremely kind, welcoming face that can quickly become family. Melanie is an elementary education major from Charlotte, North Carolina. I want to be a person students can confide in and turn to for problems not only academically, but personally. I love the community aspect of Appalachian State University. The connection between the University and the locals creates an unforgettable college experience! To share my love for education and how the Reich College of Education has changed my life. Get to know your James Center Staff and upperclassmen. Creating a network of support goes a long way for making studying education even more pleasurable.